Wow, we've never seen hair as healthy and as shiny as those of the models that walked the runway at Sonia Rykiels Spring/Summer 2012 fashion show. It's what every woman wants! “It’s 1940s meets 1970s, very flirty and pretty,” says Guido Palau, Redken's creative consultant. Mist on a thermal setting mist section by section and begin to curl your hair with a 1-inch iron. Don't do this! We've all seen these make up mishaps, the overpowdered nose, the too light concealer, too dark foundation, and then the case of bad blush (YIKES!) Be sure that these common make up mistakes don't happen to you! Avoid Overpowdering Having too much powder will make you look 10 years older than you really are...and no one wants that unless you're 16, right? So, when applying powder, dip the application brush into the powder and tap it against the rim of the container. Lightly 'flick' the brush across your face in circular motions to blend in. Don't be greedy with the powder, lighten up and you can always dip back in for more! Too Light Undereye Concealer Great for Halloween, not so great on a daily basis, this beauty no-no is very common and can be easily avoided. Of course we all want to hide those dark spots and circles under our eyes, but even better, covering it with the exact same color of our skin tone. With under eye concealer, it's a tricky thing. You see, you want it to be a bit lighter than your skin tone but NOT any more than one tone lighter. 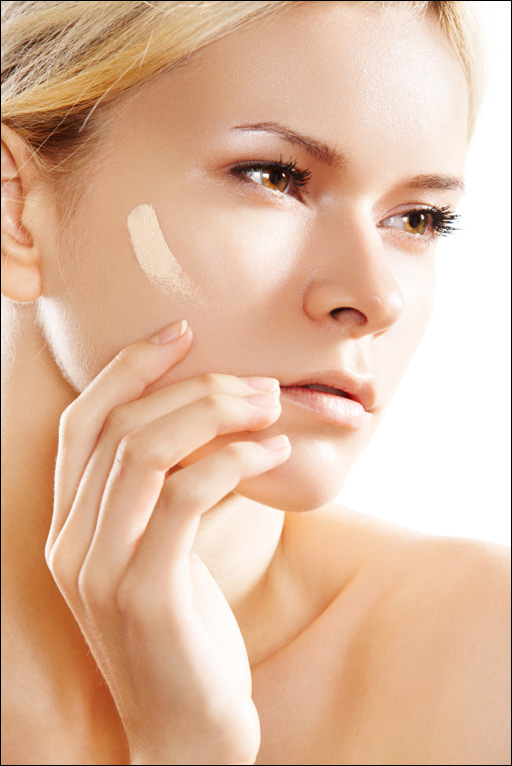 When applying the concealer, swipe and pat. Do not drag your fingers under your eyes, this is a very sensitive area. Pat, pat, pat! Too Dark Foundation You know, there is bronzer for that?! Don't play slick and go a tone darker than your natural skin tone. People notice! Stick to matching your foundation with your skin tone and later on, apply a bronzer! Don't forget to apply to the neck and jawline! Bad Blush Dab your blush brush into a peachy, pink powder and ever so lightly sweep it upwards on your cheeks. The key to not overblushing is to apply a small amount of powder and to very (very) lightly stroke the brush against your cheeckbones. Spring cleaning refers to beauty too! Time for a beauty update and time for spring cleanin' in that makeup bag of yours! Updating your brushes, mascara, eye shadows, foundations and powders are very important! Not only does switching up your beauty regime matter, but it's most important to throw out those old beauty products and utilities and start fresh for the new season. Take charge and get into the spring of things by updating your beauty regimen and do some spring cleaning in that makeup case of yours! Get to the bottom of it all! Dump it all out (ugh, yes) and make three piles. A 'I don't use this, this is garbage' pile, a 'I use this daily pile' and a 'I use this, but not on a daily basis pile'. Throw out that garbage pile! Wasn't that easy? Now check your other two piles for quality and quantity. If you're not completely satisfied with the product or you can't remember when you purchased it, get rid of it. It's not worth the blemish or eye infection in the long run! 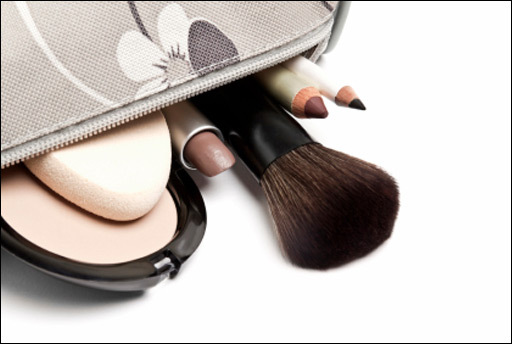 Create a daily makeup bag and another bag of trendy or beauty products you use, just not on a daily basis. This will create an easy, stress free morning of getting ready! Clean your makeup brushes. You can clean your brushes with a shampoo or foaming face wash. Be sure to use warm water and lather up! Rinse the brushes thoroughly until the water turns clear. Stroke the brush on your wrist to be sure all power/foundation is removed. Lay the brushes flat to dry on a clean towel. We love nothing more than a classy, flirty, yet preppy look. 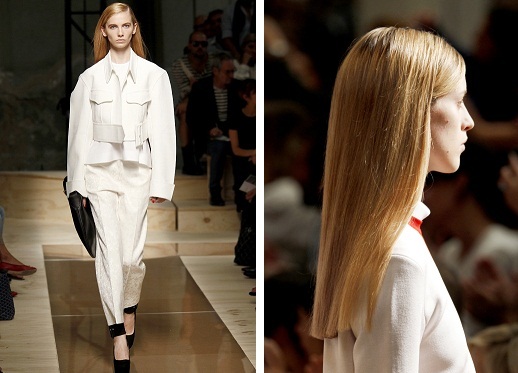 Sonia Rykiel's Spring/Summer 2012 collection offered us a classic, timeless, and simplistic look. Mist a thermal setting mist onto hair for protection of heat when using a 1-inch iron, pin set the hair. We do have to agree, we love the fact that only two or three products were used to create this amazing look, intensely monochromatic indeed. 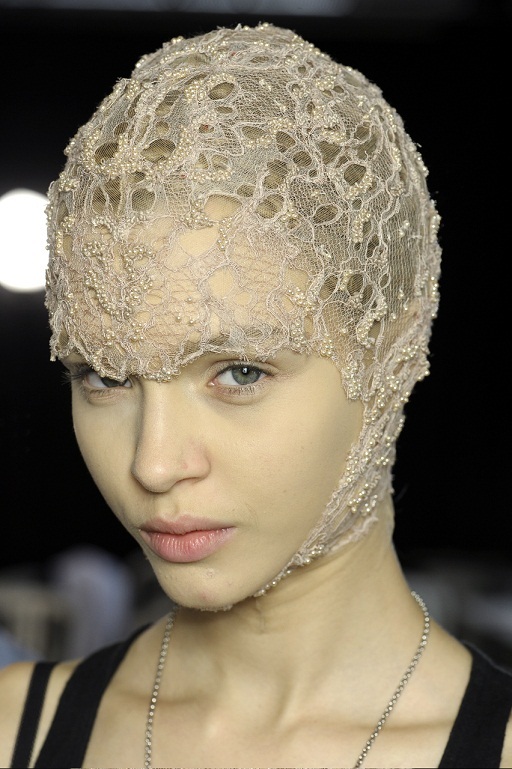 Alexander McQueen beauty, hair, and collections are typically whimsical, futuristic, and not likely to be worn on a daily basis. HOWEVER, this simple and semi-everyday look is wearable & can be worn for just the right occasion, whatever it is you deem it to be. 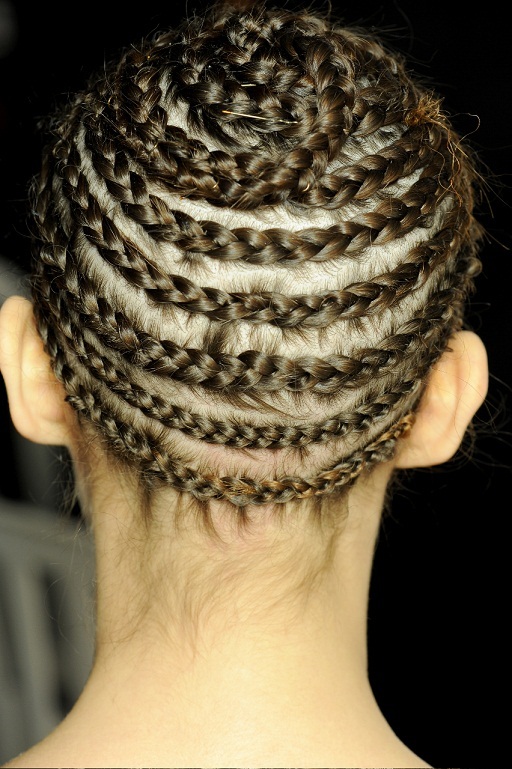 This look is definitely considered a fun, different type of braid look. As hair stylist Guido, who perfected this look says, 'this look is not one that is wearable', we take his styling tips and some of our tricks for a look that can be rocked for..well just the right occasion. Take hair & start by grabbing a circular section at the crown, and divide it into 3 sections, beginning to French braid the hair, starting at the middle. Pull out a few wisps of hair to keep the final look easy and soft. At this show, Redken Creative consultant Guido created intricate hair masks for each model--this truly created a fabulous, fantasy like look. What's your sign? 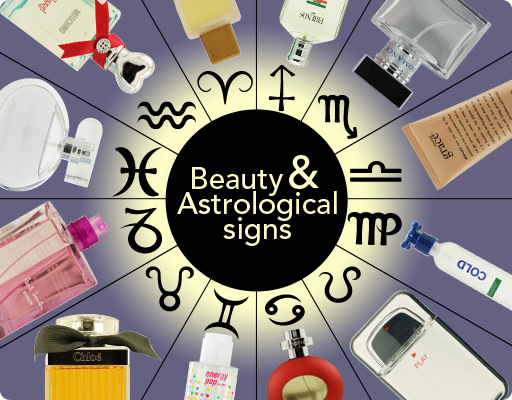 We took the time to pair up your personality traits with the scents that suit you best! Enjoy! Achieving a clear, flawless complexion is no easy task, but when you mix and match the right products and a certain regimen, having a flawless face is no problem! This may seem like a no brainer, but it's true, and lots of people don't take this wise advice to wash your face every morning and every night (no matter how late you get home from a night out). Did you wash your face this morning? Dust, dirt and bacteria do accumulate on your skin in your beauty sleep, so be sure to rid that to start a fresh day! Use warm water to open the pores and after cleansing, finish with a splash of cold to close those pores up! Water is the key to a clear complexion and not only healthy skin, but a healthy body, soul, and mind. Get a gorgeous glow after drinking water, lots of it. This won't happen over night, but guaranteed, a few weeks in, you'll thank us! Apply tea tree oil to blemishes with a cotton swab. It may smell a bit odd, but this natural ingredient works well to clear spots. Berries, nuts, salmon, oatmeal...these foods have supplements that will provide your skin the right amount of goodness to heal, repair, and improve your overall complexion. Another common sense tip, but unfortunately is not so common. It's very important to protect your skin that you work oh so hard, to keep looking lively and young. Use SPF to block the harmful rays and yes, use in the winter season too! You can easily get a moisturizer or foundation with SPF already it in for easy application.